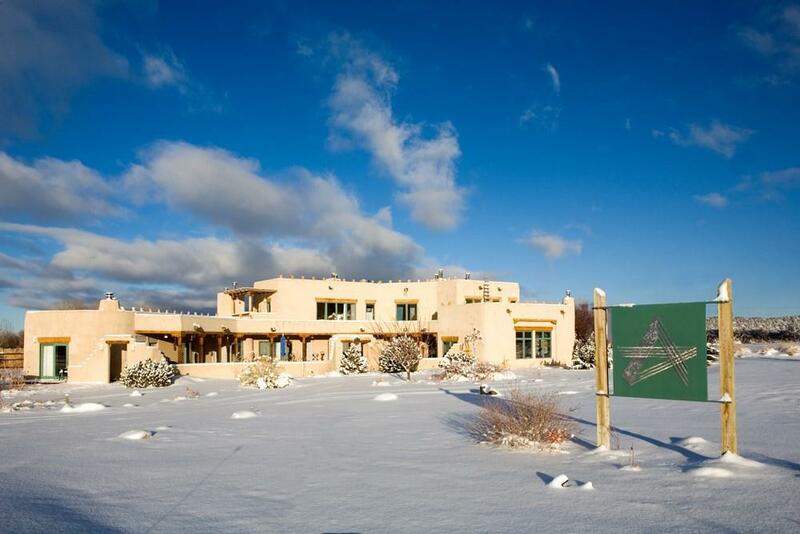 Taos Bed and Breakfast with Spectacular 360 mountain views, kiva fireplaces & jacuzzis in scenic Taos New Mexico. 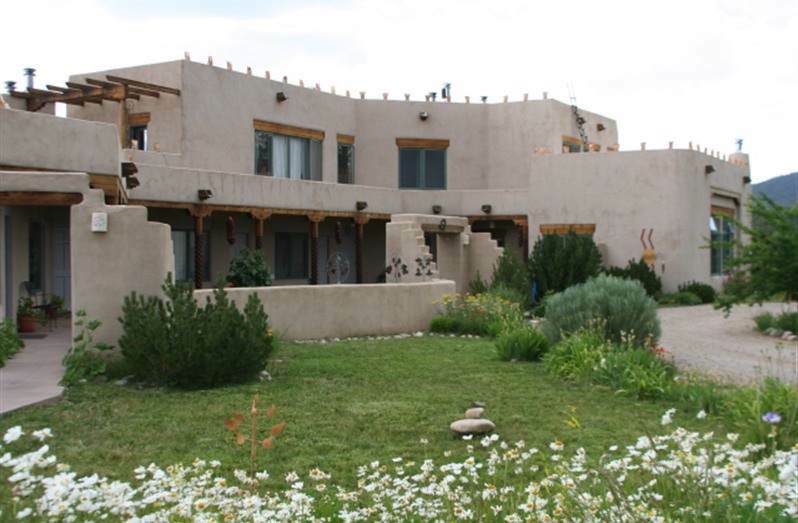 In March of 1996, Adobe and Stars Bed and Breakfast Inn of Taos opened its doors to guests seeking a Taos bed and breakfast with striking accommodations and a high level of hospitality in a majestic setting. 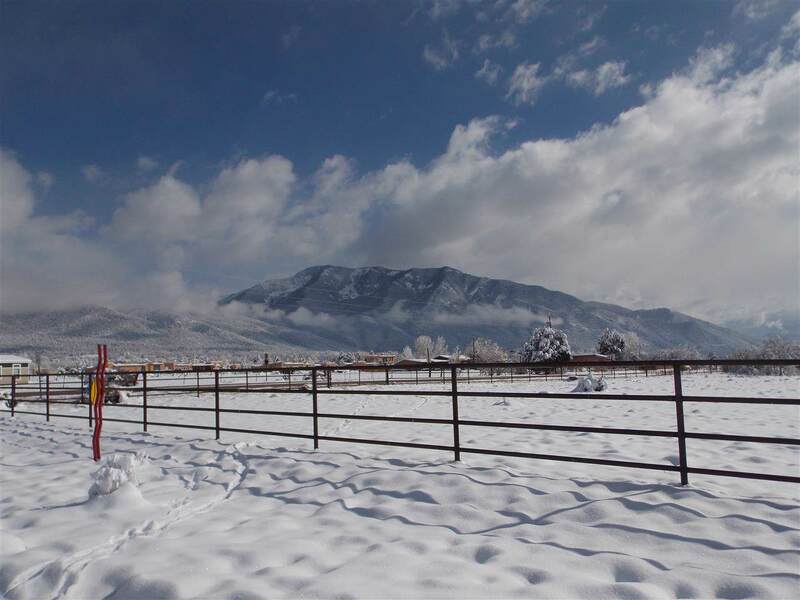 It is ideally situated between historic Taos and the Taos Ski Valley, surrounded by the ancient Sangre de Christo mountains. A vast mesa rolls westward to the horizon. Spacious and contemporary, this luxurious B&B inn was designed especially with the views in mind. Big windows, decks,and patios invite star gazing, sunset viewing and the pleasure of contemplation of mountain views under the stars. Many traditional Pueblo style features have been included to create warmth and Southwestern ambiance. 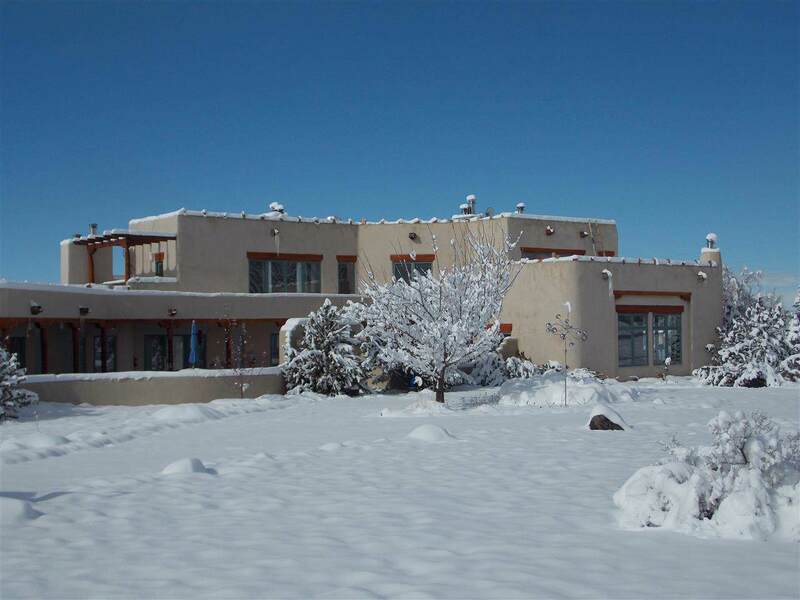 This property features: high viga beamed ceilings, kiva fireplaces tucked in the corners of rooms, jacuzzi tubs, commercial grade stainless appliances and outdoor portals to shade the strong Northern New Mexico sun. Property to be sold Partially Furnished as Single Family Home. Downstairs is Wheel Chair Accessible.